The Roanoke Star is an iconic symbol of Virginia&apos;s Blue Ridge and a must-see spot when visiting the region. The star sits perched atop Mill Mountain and overlooks the surrounding valley and Blue Ridge Mountains, serving as a beacon and welcoming sign to visitors. It is illuminated every night. As the largest, free-standing, man-made, illuminated star in the world, the Roanoke Star is one of the most photographed attractions in the area and the scenic overlook at the base of the structure is a popular stop for an incredible view of the region. The Roanoke Star was constructed in 1949 and was meant to serve as a seasonal Christmas decoration for the holiday shopping season. Through a sponsorship from the Roanoke Merchants Association, Roy C. Kinsey of Kinsey Sign Co., along with his three sons, Roy Jr., Bob and Warren, designed and built the star. The structure is actually three stars that are formed by 2,000 feet of neon tubing. The star was illuminated for the first time on November 23, 1949. Through its 65 years, the Roanoke Star has become synonymous with the region and is still one of the most talked about and recognizable icons of Virginia. The Roanoke Star can be reached via the Blue Ridge Parkway by taking the Mill Mountain Parkway exit at Milepost 120. Take Mill Mountain Parkway for 2.4 miles and then turn left on Mill Mountain Spur Road to enter Mill Mountain Park. Continue .7 miles until the end of the road to reach the parking lot beside the Star. From Downtown Roanoke, travel south on Jefferson Street away from downtown until you reach the intersection with Walnut Avenue. Turn left on Walnut Avenue, which will take you over the Walnut Bridge and put you at the base of Mill Mountain. Continue nearly two miles on Walnut Avenue, which becomes J.P. Fishburn Parkway as it heads up the mountain. Turn right on Mill Mountain Spur Road and enter Mill Mountain Park. Continue .7 miles until the end of the road to reach the parking lot beside the Star. Weight of Star: 10,000 lbs. Check out the current view from the StarCam - a live feed from a camera mounted on the star. Located atop Mill Mountain, the Roanoke Star is easily accessible from the Blue Ridge Parkway at Milepost 120. 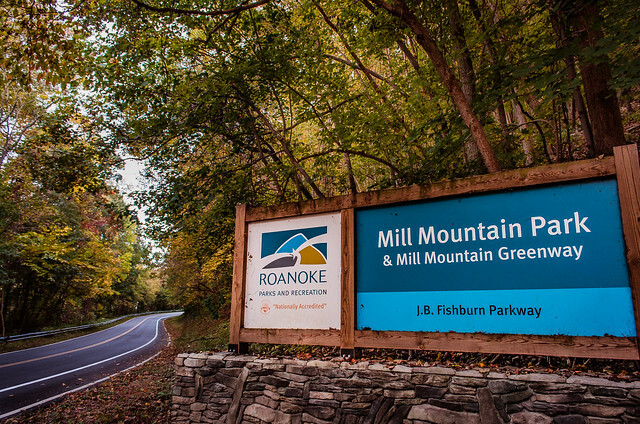 It&apos;s only a 15-minute drive to Downtown Roanoke by taking J.P. Fishburn Parkway down Mill Mountain and turning right on Jefferson Street, which leads to the heart of downtown. 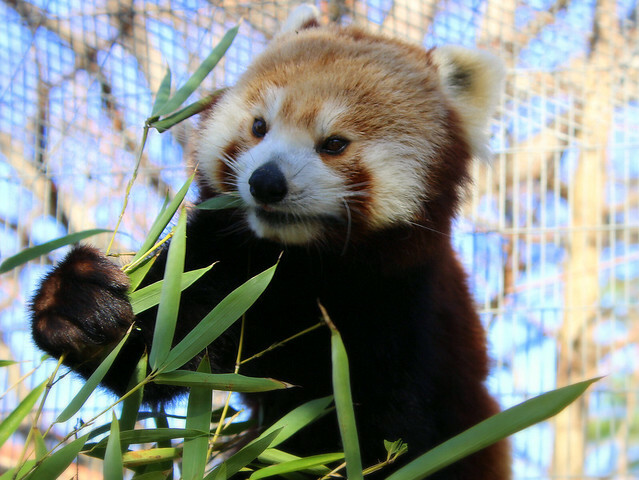 Mill Mountain is also home to the Mill Mountain Zoo and Discovery Center, two great resources with a variety of fun, educational activities for kids. 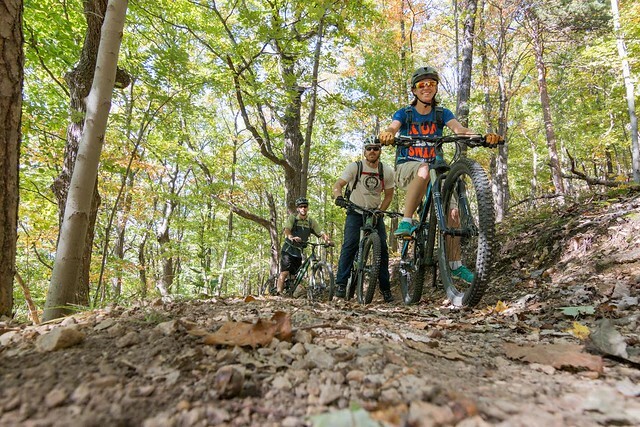 Mill Mountain also boasts many popular hiking and biking paths and trails. 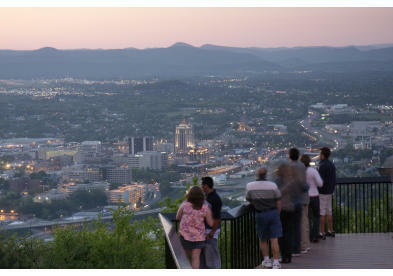 Additionally, the area features great picnic spaces near the overlook at the base of the Roanoke Star. 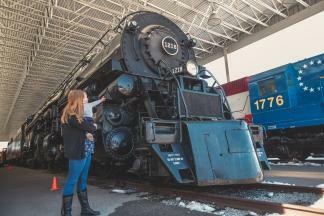 Make memories at fascinating museums and local attractions.